A recent gift of a handmade wallet from one friend to another resulted in a frenzy of wallet making among the rest of us to create our own. The materials are those found in my kitemaking friend's studio: cuben fiber. 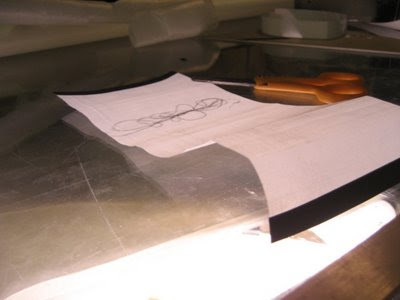 Cuben is a cloth made of spectra fibers laid down and then laminated together. 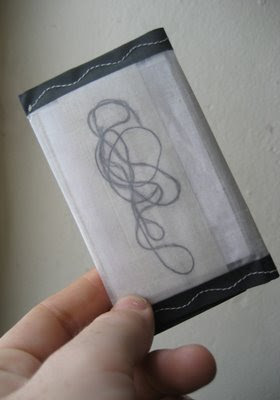 It's incredibly strong, translucent, and just needed to have a tangle captured in it. 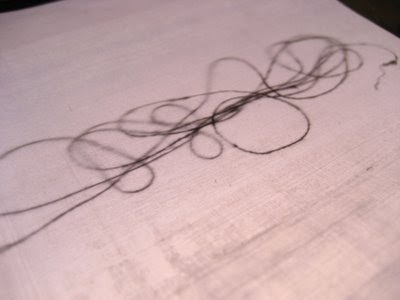 The tangle above is a test tangle using industrial sewing thread; the final tangle is silk thread pulled from the margins of a bit of silk scrap. 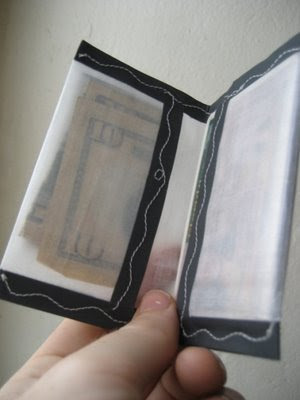 The wallet design itself is one Tim adapted from a bank paper wallet.